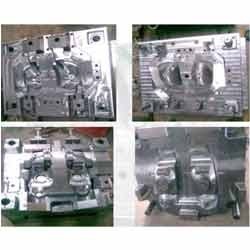 We are instrumental in offering a wide range of Plastic Moulds and Dies to the customers. Our product range is available in varied specifications to meet the exact requirements of the esteemed customers. The product range is manufactured using quality raw material, sourced from the reliable market vendors. Moreover, expert supervision and sophisticated facilities at our premises enable us in offering finest quality moulds and dies. Since 2010, we have been able to carve a niche for ourselves by offering reliable Designing Services for Engineered Products. The set of our services includes Engineering Design, CAD/CAE Services, Industrial Designs and Tool Design Image. In addition to these, our organisation is also engaged in manufacturing and supplying a quality range of Checking Fixtures and Moulds & Dies. We cater to the requirements of the clients related to engineering, automotive and white goods segments. Owing to our client-centric approach, we help in improving the engineering efficiency, support their global foot prints and improve their competitiveness. We have been able to offer the best-in-class products & services to the clients by our expertise in the latest technology, domain knowledge and robust work. The product designing services offered by us help in the conceptualisation, B surface building and reverse engineering. Moreover, CAD conversion helps in conversion of 2D to 3D, 3D to 2D, drafting and others. The services are rendered as well as the products are manufactured by keeping in mind about the requirement of the clients. Moreover, we follow international quality standards in all our business processes to offer quality-assured products & services in the market. For the convenience of the clients, we have introduced different modes of payment like cash and cheque. Owing to our customer oriented approach and ethical business policies, we have been able to add the names of reputed organisations in our list of clients. Our client list includes the names of Minda Group, Pune, Sri Devi Tools, Mumbai, Plastomech, Pune, Radix Moulds & Dies, Pune, Abhijeet Dies & Tools, Mumbai, Glotech, Pune and Shapers Ind. Ltd., Pune.